It’s not enough to fight the external enemies, you also have to fight the enemies within! In Doppelganger, one (or more!) of the players are doppelgangers trying to prevent an adventuring party from finding three Artifacts of Light. 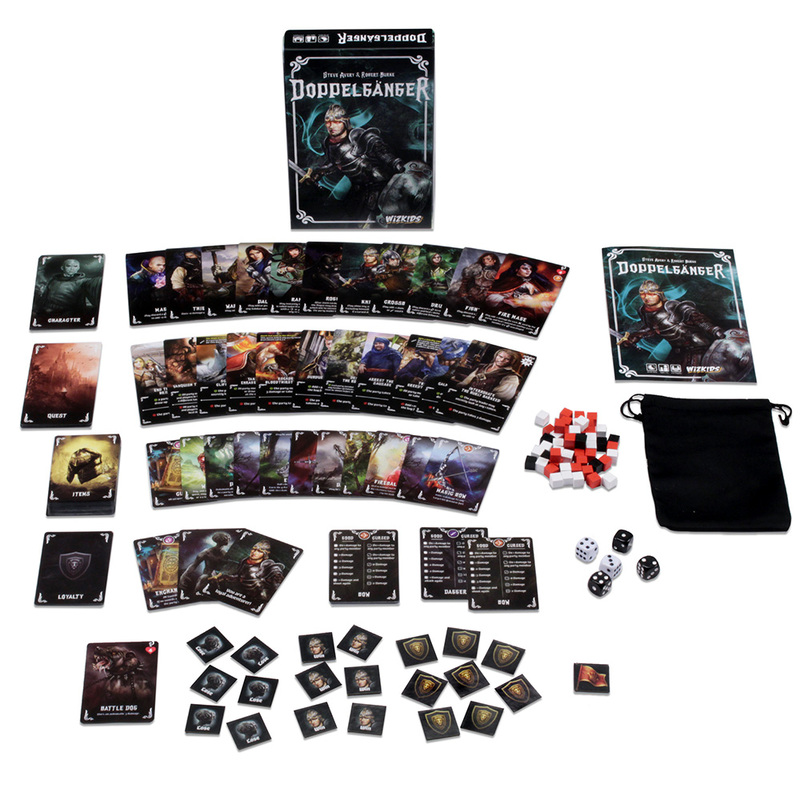 With a whiff of Resistance, BSG, and Dark Moon, players in Doppelganger secretly throw cards into the mix and choose dice used in the impending battles. Will they toss in an important weapon, or a horrendous poison potion? Or roll dice for the benefit – or detriment – of the party?